Well, it’s that time of year again, Halloween. Little ghosts and goblins are running all about. Are you dressing up this year? Have your kids dragged you all around town to find the perfect costume? I found this cartoon, and it made me laugh, so I wanted to share it with all of you. I know it would be unrealistic for me to expect you and your kids to not eat candy this Halloween. I do suggest that you keep it under control and monitor what your kids consume. I also wanted to provide some creative alternatives. The candy aisles in the store are woefully lacking in healthier alternatives. Small bags of pretzels, popcorn, or animal crackers are some healthier options. It’s hard to find safely-packaged, treat-sized portions of fruits, veggies, or even nuts. So instead, how about some fun items that not only lack tons of sugar, but also last a lot longer than candy. Here are some ideas: silly bands, temporary tattoos, spider rings, and glow sticks. Overall, try to make Halloween about having fun and getting dressed up. Focus on carving the pumpkin, watching a fun Halloween inspired movie, and enjoying time with family and friends. Also don’t just throw away your pumpkin seeds. They are filled with fiber essential fatty acids, and antioxidants! Just mix them with a little oil and some seasoning and bake at 350 for about 20 minutes! Latest Story from happy Life Shotz customer! Life Shotz has made such a difference in my life. I feel so much better and I have lost over 10 pounds in less than a month. I was told by my boss the other day that i have such nice skin. I clean house’s for a living and I don’t die out half way throw the day any more. I LOVE THIS STUFF! It’s hard enough to keep up with eating enough fruits and veggies each day, but keeping up with exactly which vitamins and minerals come from each and how many servings you need…wow…that’s enough to drive anyone crazy. Here’s a fun way to make sure you’re covering your nutritional bases. Something else I do every single day to ensure I’m covering all of my nutritional bases is I drink one packet of Life Shotz everyday. This keeps my energy levels high along with increasing my immune system…especially with flu season here! The last time I wrote to you we were headed to San Jose for our Life Shotz conference. 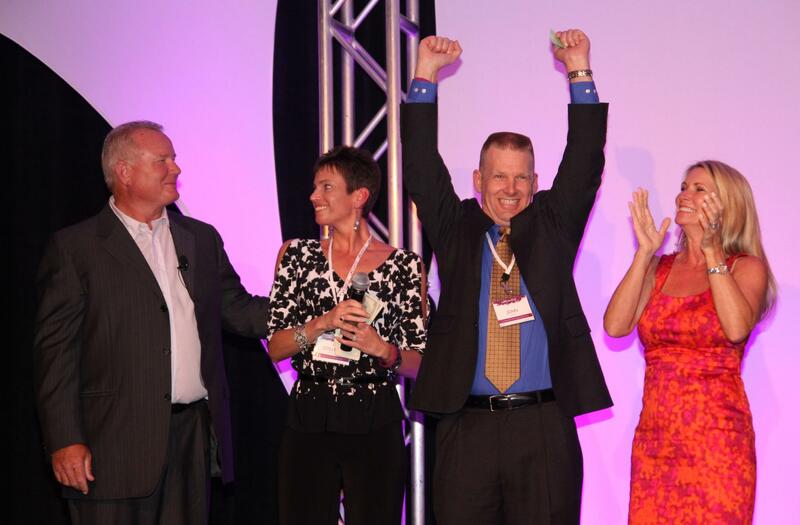 I am excited to tell you that John and I earned $2500, and then won $10,000!! This company blows me away!! Here’s a picture of us winning! Let me know if you want to join us for the ride of your life!! To Celebrate, I’m offering 20% off New Mommy Makeover!! Use this code: epnewsletterfitpreg at checkout! I met a wonderful trainer out in Corvallis, Oregon. We’ve been sharing some training ideas, and I came across this great article she wrote about staying active while traveling. I asked if I could share it with my readers. John and I are about to head across the country to San Jose, CA for our Life Shotz conference, and I will definitely be packing my workout clothes! Jessica wrote this article pertaining to the Labor Day weekend, but I think we can apply it to any trips we have in the near future! Let me know what you think! Going somewhere this holiday weekend? Don’t let that stop you from getting physical activity. There have been lots of research articles and news stories published lately about the dangers of sitting for long periods of time. So, while lounging at the beach or hanging out at a backyard BBQ may be in your plans this weekend, see if you can mix it up by accumulating bits of exercise throughout the day. You might even be able to convince a friend to join you. 1. Plan trips that involve getting exercise. Skiing, canoeing , backpacking, and fly fishing can be relaxing, enjoyable, and physical all at the same time. 2. Explore on foot or by bike rather than by motorized transport. If you’re visiting a big city like New York or Chicago, see how far your legs can take you. Or if you’re in the countryside, rent some cruiser bikes and go for a ride. 3. Do some airport yoga. Even if you’re not flying from San Fransisco, you can make the airport your yoga studio. Find a quiet corner in an empty terminal and let your inner yogini shine. 4. Play some games with the kids. Put the electronics off limits this weekend and play some good, old-fashioned games. Adults can play too. Wiffle ball, lawn darts, horseshoes, and miniature golf will get you off your rear end and having a great time with the family. 5. Schedule time for a workout. You schedule time for everything important in your life: work, family get-togethers, hair appointments, and watching the big game. Why not exercise? Sign up for a morning kickboxing class or program an alarm on your phone to remind you to go for a jog. Make exercise a priority every day. You will find yourself much more relaxed and rejuvenated if you take a little bit of time every day to move your body. Have a wonderful holiday weekend! wine! And, so, I did splurge a little, but it was on “pure” items! lunges are when you do them in the sand! drink a ton of water and that helps a lot! Posted in lose pregnancy weight, weight loss	| Tagged colleen riddle, healthy habits, increase motivation, Life Shotz, new mommy makeover	| Comments Off on HOW TO AVOID WEIGHT GAIN WHILE COMPANY VISITS! With the warm, beautiful weather upon us, we are drawn to spend the days outside. In last year’s survey I sent out to my readers, many of you wanted ideas for healthy, family-friendly foods and snacks that would satisfy everyone from Dad to the little kiddos. I’ve compiled a few healthy ideas that are conducive to on-the-go living! Yogurt: delicious and great source of protein and calcium (just beware of the added sugar); Greek yogurt is best. Water: forget the juice boxes and sodas! Pure water is the best way to stay hydrated on your active outings. No calories, fat or sugar…just plain refreshing! Apples: tasty portable nutrition that’s full of fiber and vitamins. “An apple a day keeps the doctor away” isn’t just an old saying….it’s the truth! Bananas “the bicyclist’s best friend”: easy to pack and eat on the go. Excellent source of potassium to help as you stay active on your outing. Bananas are an excellent source of B6 as well. Homemade trail mix: throw some nuts, cereal (like Kashi Go Lean) and some dried fruit into a bag and toss in your backpack for a quick energy boost. 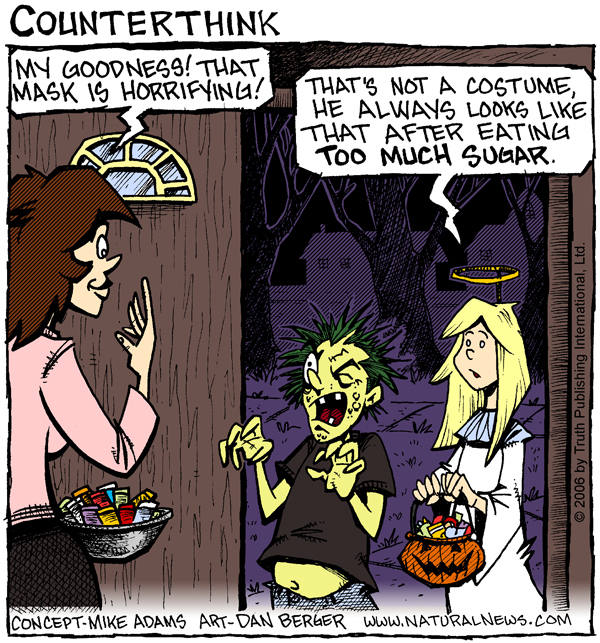 Just be careful to watch the added sugar. Wraps: get whole wheat wraps and place your favorite lunch meat, lettuce, cheese, and peppers. Add mustard instead of mayo to keep the fat and calories down. A great substitute for mayo is avocados! Spread some on your wrap and get the bonus of vitamins and the “good” fat. Hummus and veggies like baby carrots, celery, and cucumbers. If you need chips, choose natural ones like Stacey’s or SunChips. Check the ingredients and make sure to stay away from partially hydrogenated oils…your body can’t process them so they end up being stored as fat! As I’ve said many times healthy eating comes down to being prepared! Try out these simple ideas and stay away from the gut-busting fast foods that will weigh you down. You can eat fresh and healthy on the go… just takes a little preparation. Preheat oven to 350. Spray muffin tin with nonstick spray. Put 1 TBS of old fashion oats, favorite veggies (I use peppers and broccoli) 1 TBS fresh salsa. Then top off with 100% liquid egg whites. (You can buy them in a carton.) Stir each one. Bake for 20-25 minutes. Eat three of them for breakfast or grab one as a snack. Store 3 days worth in fridge and freeze the rest so they don’t go bad. If you have time warm them up in the microwave, or just grab and go and eat them cold. * I’ve also experimented with chopped apples and cinnamon in place of veggies. I personally only like these cold. Just experiment and have fun. Let me know if you create any yummy, clean snacks or meals! Posted in lose pregnancy weight, post natal weight loss	| Tagged colleen riddle, healthy habits, healthy snacks, kid friendly snacks, Life Shotz, new mommy makeover	| Comments Off on Healthy Family-Friendly Snacks…on the go! I had the pleasure of speaking to the Le Leche League of the Emerald Coast last night. What a great group of women! I loved meeting them and their adorable children. I shared healthy lifestyle ideas, exercise tips, and educated them on how to dig deep and read nutrition labels! We discussed the five main details you need to look at to determine whether you should precede with putting something into your mouth. The five things are: serving size, front of the label claims, amount of sugar, amount of sodium, and the list of ingredients. I think everyone was pretty surprised to see, literally, how much sugar is in a 20 oz soda (65 grams)! I taught them the little “trick” to divide the number of grams by 4 and that’s how many teaspoons are in the food or drink. Our brains don’t register in grams, but we know what a teaspoon looks like! These women are very impressive….they want to be the best moms they can be! We discussed the importance of taking care of “Mommy Time” first, and not feeling guilty about taking time out for exercise. Great tips were shared from moms in the audience about how they prepare food ahead of time to avoid the dreaded “I’m too busy and tired, so let’s just hit the drive-thru!” Things like, chopping veggies ahead of time, pre-making meals on Sunday, and making sure to have healthy snacks on you at all times. Thanks, Le Leche Ladies of the Emerald Coast! *All day natural feel good energy! It’s time to take the challenge! It’s time to take back youth! It’s time to win FREE prizes! Life Shotz is the most potent, nutrient-dense formula anywhere. Customers who take the 10-Day Challenge quickly discover that Life Shotz is total nutrition … but it doesn’t always happen on the first or second days. 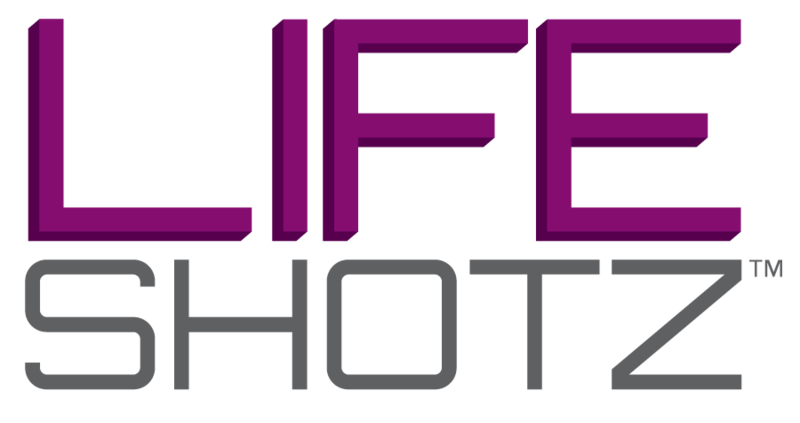 Life Shotz needs time to load your system with nutrients. It’s like building muscle or learning a new skill. You may notice differences immediately, or it may happen on day three. It might take all 10 days. Some people only notice the difference after they run out—and then they really notice. It’s time to take back nutrition, and it’s time to start feeling good about the way you look and feel. Oh, and of course it’s 100 % Money Back Guarantee!! For Retail Customers only. For complete rules, click here. Ok, we have discussed planning and nutrition. This week we are going to talk about something that doesn’t usually get associated with the Holidays; STRESS. With the endless parties, travel, family gatherings and of course shopping. It’s easy to see how we can be overwhelmed with all this plus a full time life. Stress can lead to physical symptoms including weight gain, headaches, upset stomach, elevated blood pressure, chest pain, and problems sleeping. Research suggests that stress also can bring on or worsen certain symptoms or diseases. This should be a time to be thankful for what we have, not about worrying about getting the Christmas cards out on time, or not being able to find that perfect gift. Here are a few tips to help with your shopping, so you can check one more thing from your to-do list. 1) Buy duplicates. If you find a great gift at a great price, consider getting one for several people on your list, if it fits their tastes. 2) Include gift receipts. Ask for gift receipts at the register, and include them with your gifts when you wrap them. That way, you’ll have peace of mind knowing that if what you got doesn’t work for your recipient, they can easily exchange it. 3) Get gift cards. If you really need things to be simple, gift cards and certificates are a great option. 4) Let the post office be your friend. Rather than lugging all of your gifts to the post office and standing in the long lines, you can now get them to come to you! Visit the USPS website . 5) Make time for exercise. Exercise is proven to reduce stress and help you sleep better. It will also keep the pounds from creeping up on you over the holidays! The question most often asked at this time of year is, “How can I fit in a workout when I have NO time!” I gave you a quick workout option last email, and here’s another one! Repeat as many times as you have time for! You will hit the major muscle groups and spike your heart rate. Remember, something is better than nothing!! If you do this, email me and let me know what you think! Last week I discussed planning for your holiday parties and gatherings. This week we are going to talk about some easy changes you can make to your favorite recipes. These will help you execute the Holiday Survival Plan. Turkey – Enjoy delicious, roasted turkey breast without the skin and save 11 grams of saturated fat per 3 oz serving. Green Bean Casserole — Cook fresh green beans with chunks of potatoes instead of cream soup. Top with almonds instead of fried onion rings. Quick Holiday Nog — Four bananas, 1-1/2 cups skim milk or soymilk, 1-1/2 cups plain nonfat yogurt, 1/4 teaspoon rum extract, and ground nutmeg. Blend all ingredients except nutmeg. Puree until smooth. Top with nutmeg. Desserts — Make a crust-less pumpkin pie. Substitute two egg whites for each whole egg in baked recipes. Replace heavy cream with evaporated skim milk in cheesecakes and cream pies. Top cakes with fresh fruit, fruit sauce, or a sprinkle of powdered sugar instead of fattening frosting. These tips can be used in your favorite recipes and you ‘ll be amazed how many calories and fat you can cut out of the holidays without sacrificing taste! Have a great Thanksgiving and we’ll see you next week! Can you believe the holiday season is already here? It seems like just yesterday we were toasting champagne and talking about the year to come. Well we blinked and it’s already here. This is the time most of our healthy lifestyles take a step backward. The endless parties, family gatherings and don’t forget those delicious leftovers (you know you love them)! According to a recent Weight Watchers report, the average American gains around 7-10 pounds between Thanksgiving and New Years Day. We want to help you be better than just average, because we believe in you. First, as with any battle (and this is a battle with yourself) you must plan. So for the next few weeks we are going to help guide you through this minefield of calories. You must have a plan! Always assume there are going to be bad choices and be prepared to work around them. Try bringing a healthy option to the party (we are known for our salads). This way you know you have a least one healthy choice. A big part of the plan is never go to the party hungry. Eat something light ahead of time so you can make choices with your head and not your stomach. Another good calorie saver is to drink one water to every adult beverage you have. This will help you keep from drinking all of your calories (not to mention staying hydrated to avoid a headache!) So in conclusion PLAN, PLAN, PLAN. Thank you for all of your support….New Mommy Makeover won first place in the 2011 Sheknows.com Parenting Awards! I’m so excited about this national recognition! Thank you! !